What’s your favourite Fall/Halloween experience in Kamloops? What’s your favourite local wine/beer to pair with a Thanksgiving turkey dinner? Which trail/spot in or around Kamloops do you enjoy the fall colours at? Tell us your favourite tee box where you can catch the perfect view! Tell us which lake you enjoy reeling in the perfect catch during the fall season! What fall event has you running to the Box Office? How does it work? We will post our questions at the above times with Q1, Q2 etc, where you can then interact by replying with your answers to the questions using A1, A2 and so forth. 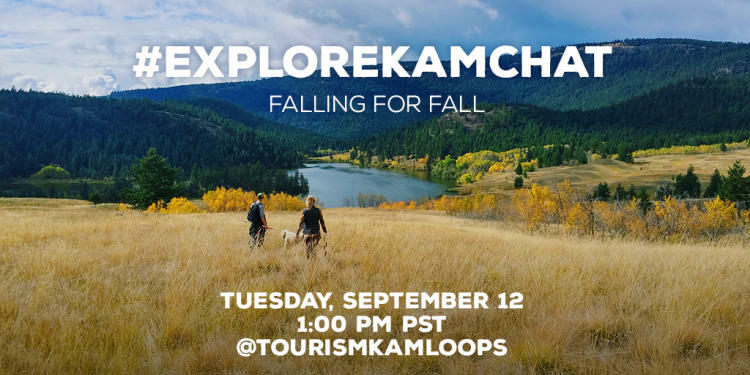 Be sure to also include #ExploreKamChat and we will retweet our favourites!